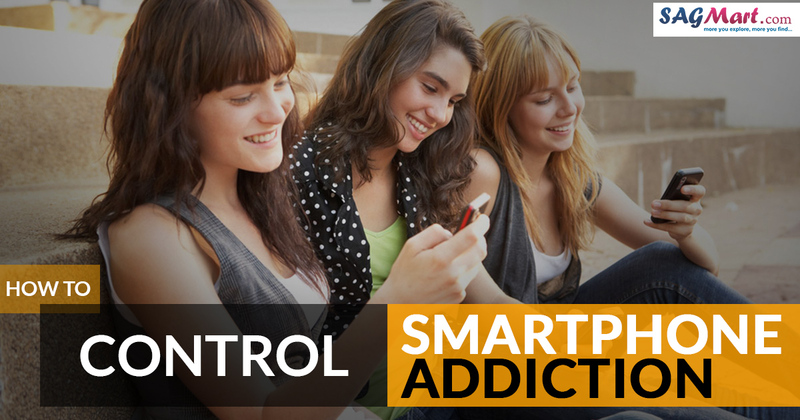 How to Control Smartphone Addiction? Now- a- days most of the people are dependent on their smartphones and they can’t live without it even for a second. It is considered similar to a drug addiction and influences the personal life and health of individuals adversely. According to the reports, one out of ten smartphone users admits that they used their smartphones while taking shower. The same figures came in front in a survey reporting half of the people use their smartphone while driving the vehicle. Smartphone addiction is increasing very rapidly in the modern scenario as all of us are mostly dependent on smartphones to do the activities such as to watch the time in the clock, checking WhatsApp messages, Facebook notifications, calculator, listening to music and much more. How an Individual gets Addicted To the Smartphone? 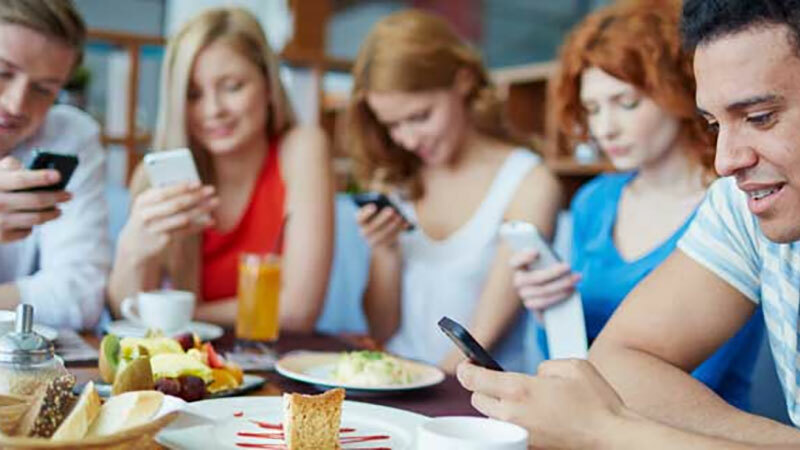 With help of the smartphone, we are able to interact with family, friends, and even long lost friends thanks to the social media platform and advanced technologies. Apart from that, we are able to watch movies, television, cricket match just by tapping the big screen of the smartphone. 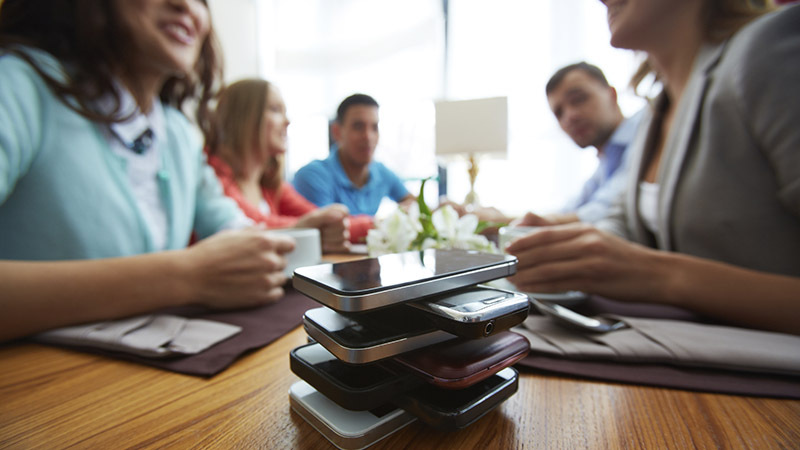 In short, smartphones play a vital role in daily life and we are totally dependent on them. Excessive use of a smartphone is one of the major reason that people are getting addicted towards them. Nearly 72 percent of individuals admit that they are not able to keep away from their smartphones more than 5 feet of distance. This is called nomophobia which is termed as no mobile phobia; the fear of keeping away from the smartphone can create detachment in you and ultimately disconnects you from the world. Similar to other types of addiction, the smartphone addiction can happen due to emotional and psychological issues, might be a consequence of depression or obsessive-compulsive disorder. People can treat smartphone as a companion those who are suffering from diseases such as post-traumatic stress, attention deficit disorder and social anxiety. Kim Nam-Hee a member of the Kwon civic group in South Korea, tried to find out the trend of smartphone usage amongst children. A classroom of 10-year-old children was asked to compare the amount of time they use their smartphones with the time they spend interacting with their family members, friends, and relatives. The answers threw light on a disturbing emerging trend and change in the pattern of behavior amongst children. She found that children spend more time on smartphones than interacting with fellow human beings and the gap is indeed alarming. This distinctly indicates the change in human behavior particularly among children due to the extensive use of smartphones. The side- effects of smartphone addiction is very serious and harmful. Social interaction helps to provide assistance to a child and also develops the brain emotionally so that the child is able to communicate effectively with others which the smartphone cannot provide. Through, human interaction child is able to understand the emotional reactions and they can easily identify the difference between good actions and bad actions. Adults are also addicted to the smartphones and this influence them adversely such as it leads to sleeping disorder, and also disturbs the individual mentally and physically. Due to continuous staring at the screen of the smartphone, the brain stops functioning as well as disturbs the release of something important that is termed as melatonin which is to be considered the natural sleep chemical. Using the smartphone in an excessive manner disturbs our sleeping pattern and we are not able to function properly throughout the whole day. A feature phone is one of the best solutions for those people who are addicted to the smartphone. We would suggest, one must use feature phone for few days until and unless you feel that you have overcome the smartphone addiction. It is not easy as we are thinking but it works effectively. The lesser notifications you get in your smartphone, the lesser number of times you check your smartphones. Customizing notification is one of the effective solutions to combat smartphone addiction. As people are dependent on their smartphones too much so it actually works to ignore the notifications. People spend their most of the time on social media platforms such as Facebook, Twitter, Instagram and much more. It is not necessary to keep them on your smartphone and uninstalling them from the smartphone is the better option to combat with smartphone addictions. It seems that it is an impossible idea but you can survive without them. This not only utilizes your precious time but also relaxes storage capacity of your smartphone. Switch- off the smartphone before going to bed is practically not possible. Most of the people use their smartphone in late- nights and it affects their sleep. If the smartphone is switched off for a few- hours it won’t be a big thing for you and it will help you to sleep in a better manner. There are numerous applications such as Rescue Time and App Detox that are available on Google Play Store which helps you to combat smartphone addiction. The users can download these applications and use them as per their feasibility to combat with smartphone addiction. We would recommend you to use old-fashioned alarm clock or wristwatch to check what time instead of relying on the smartphone.